Image | This entry was posted in Weekly Photo Challenge and tagged Photography, postaday, weekly photo challenge. Bookmark the permalink. Beautiful photo! It’s similar to the header on my blog! It is fun to be above the clouds. Pingback: Weekly Photo Challenge: Up (Tax) | What's (in) the picture? Pingback: Weekly Photo Challenge: Up (Dry) | What's (in) the picture? 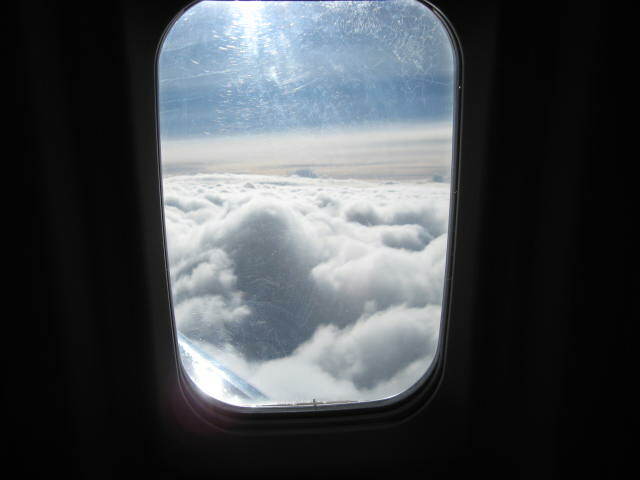 I love this view from an airplane window and even though I know the sun is shining above the clouds, it’s always amazing to come up out of dreary day into the bright sunshine with the clouds looking like plush icebergs. Pingback: Weekly Photo Challenge: Up (Babylon) | What's (in) the picture? Pingback: Weekly Photo Challenge: Up (Flower Parade) | What's (in) the picture?